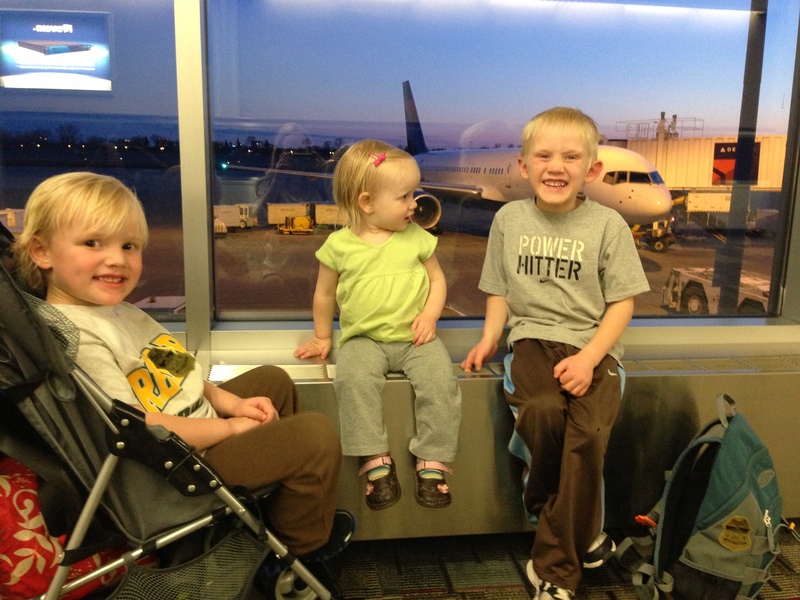 When we had one child I Goggled “flying with kids”. 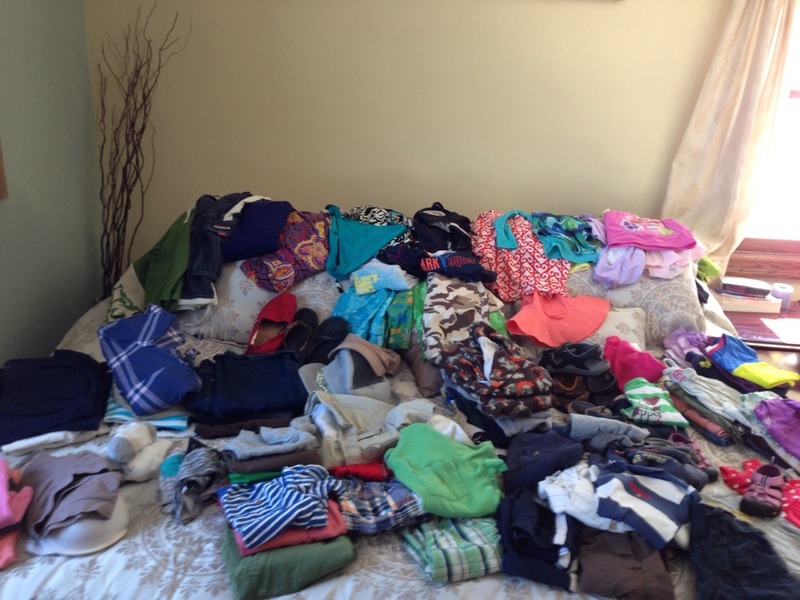 When we had two I Googled “traveling with 2 kids”. Now I am not Googling but trying to give my best tips , tested and retested over thousands of miles the past six years. Kids are kids. Someone may have to pee and then go number 2 after 5 minutes of getting back on the road…breathe, smile and embrace another stop. 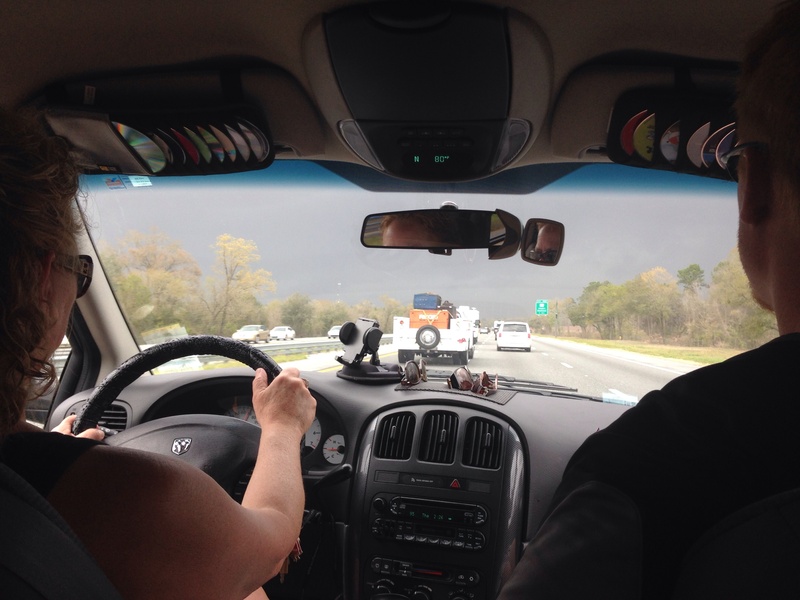 We like to drive all the way in one shot but are not opposed to stopping if need be and definitely will. 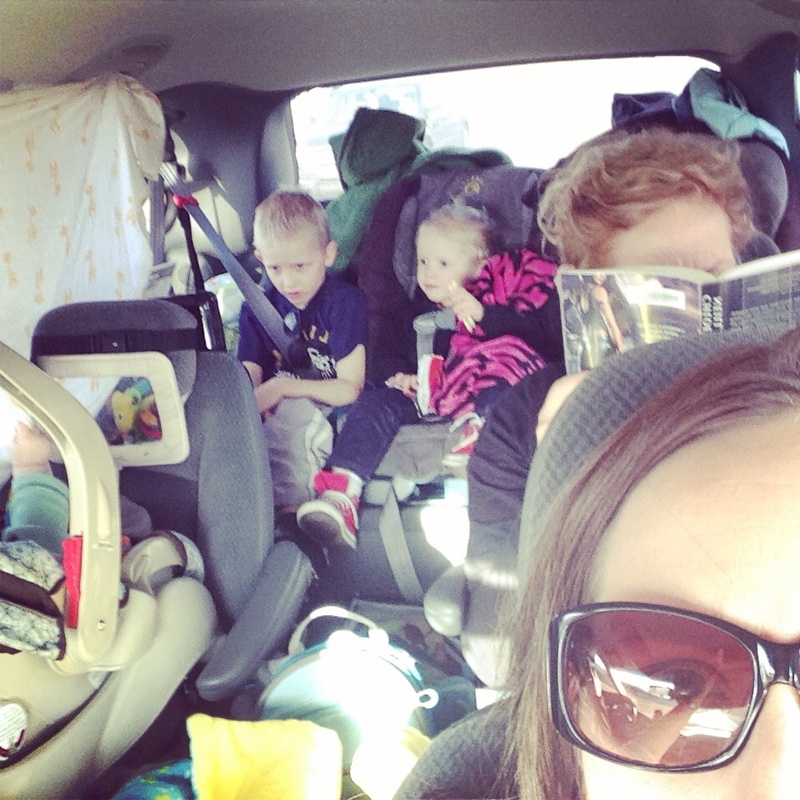 We do travel with a little potty and sometimes just pull off the road instead of finding a rest stop or gas station…you know 2 year old bladders! The sights, the surrounds, the food, and the weather. This is such a great way for children to learn so much. Stops are a great time to race the kids around a building and run off some energy. Go ahead and talk about the new terrain or Google the town your stopping in or going through. We love to praise God for all the new sights! We usually hit up the dollar store for some new toys or borrow some from friends. This keeps their attention on some new fun toys that they have never seen. Also along the way it is really helpful and exciting for them to figure out the new things. A few favorites: small figures or animals, pipe cleaners, Melissa and Doug travel bingo, books, magazines, new crayons. I try to bring things that wouldn’t bother me if they get lost or fall out of the car on a stop. We also let them watch movies. 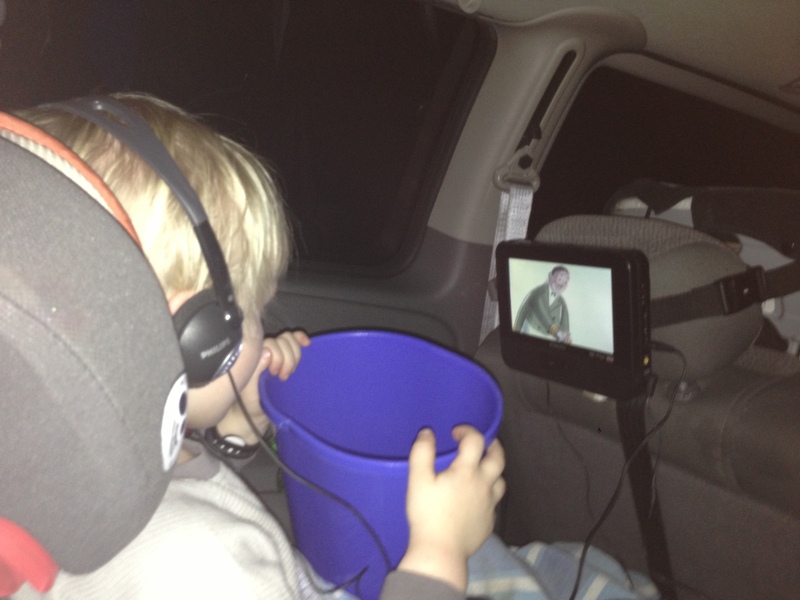 Now we aren’t huge TV watchers, maybe once or twice a week we will watch a show or movie, so long trips are awesome for them, THEY can watch movie after movie. 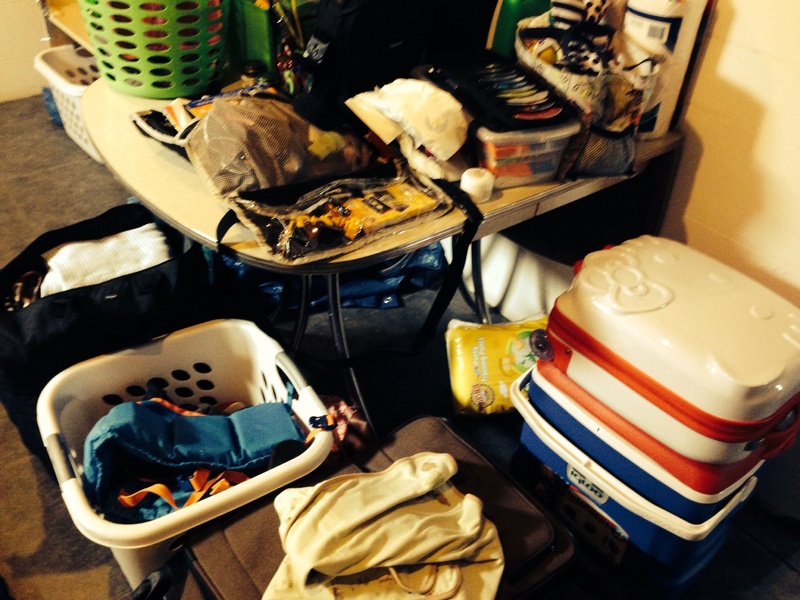 A week or so before we leave I start a pile and I add and add and add. This way I forget less things and then can do a packing day and sort through and organize what I really need and not shove stuff in last-minute (okay I do that anyway:) ). I make sure to have an extra set of clothes for everyone, adults included (haven’t you been puked on before?) in a back pack that is handy. I also like our swimsuits easy accessible in case we end up by a lake or overnight in a hotel. Don’t forget plastic bags (for puke or wet clothing), paper towels, box of baking soda (great cleaner and smell deodorizer) and even an extra blanket or towel. I also use 2 CD visor holders-one with CDs and one with DVDs to easily grab for the kids. 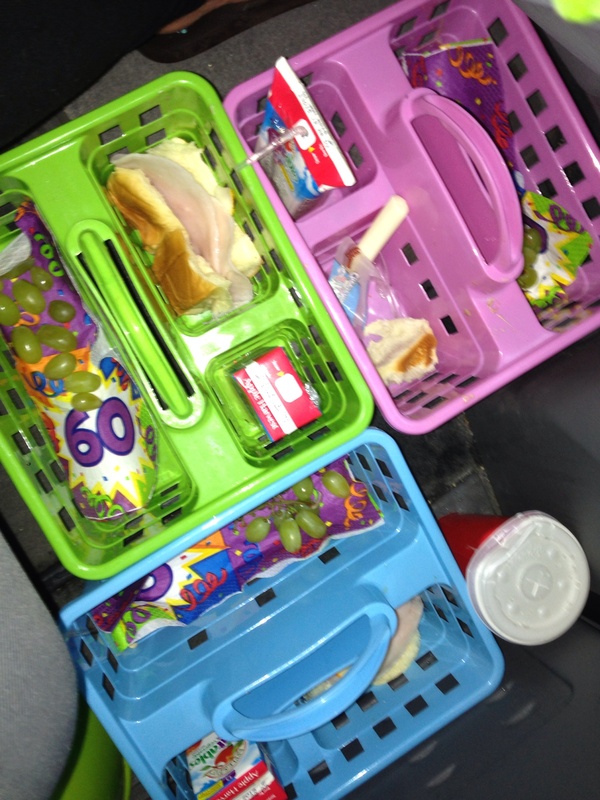 Yes, your car will look like a pack of raccoon’s have invaded but who cares…happy kids =fed kids. Happy adults= constant snacking. We always bring a cooler. We also have the rule that with every stop we take out all the garbage out of the van. Okay I have a confession, we now have entered THAT family…Yep, full on…No more quick, cheap drive-thru’s. I am talking a whole loaf of bread, 1 lb of meat,1 lb of cheese and water bottles. This is a healthier and usually less expensive option. I am talking snacks while getting gas include buying a half-gallon of chocolate milk and everyone get out a plastic cup. 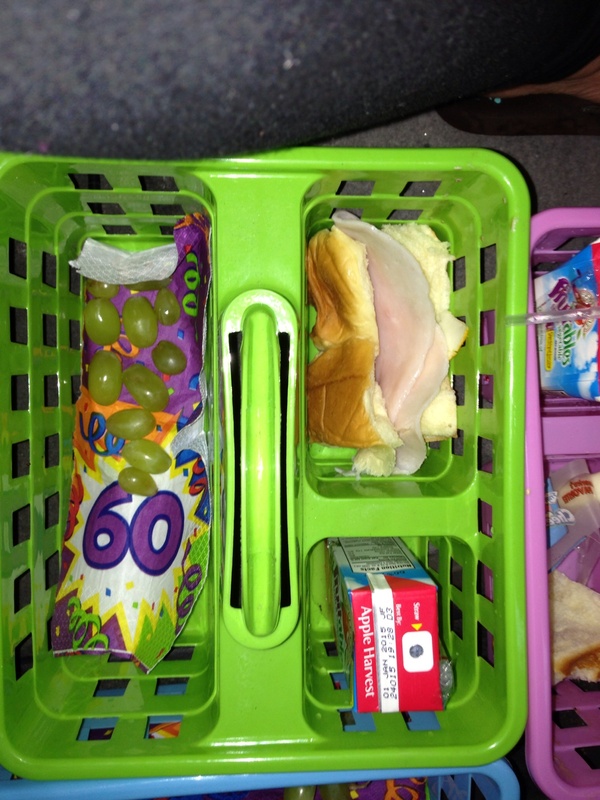 A few years back I discovered the shower caddy and love using these to give the kids a meal. If we have a shorter 3 hour drive we love to leave at nap time. If its 9-15 hours, early morning is great. You can leave at like 4 or 5 am and really get in a big chunk of driving while everyone is still dazed and not quite hungry. 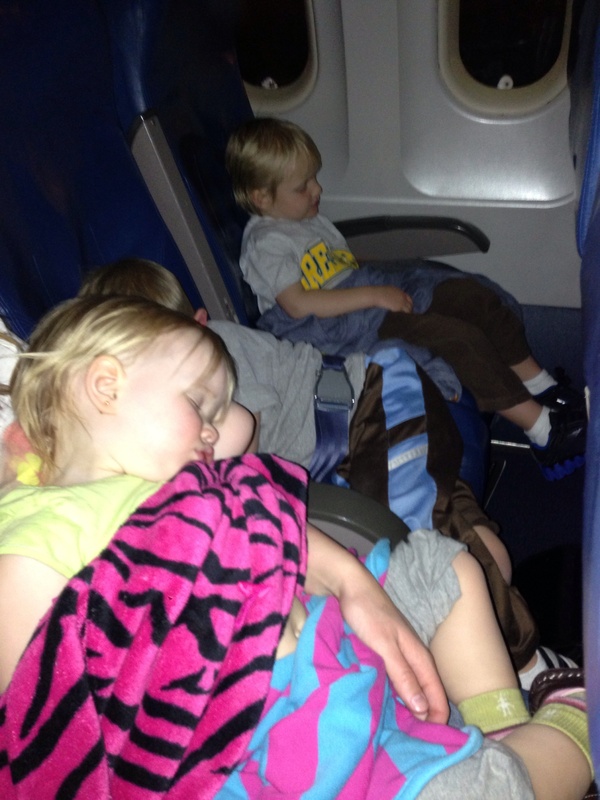 For flying, I like late flights so the kids are tired and sleep most of it. Plus they are cheaper. Sorry moms and dads, we may sleep sometime in our lifetime…when our kids have kids and we maybe worry less? Maybe? What do you have for tips? Please share them? I love new ideas! Oh my goodness. 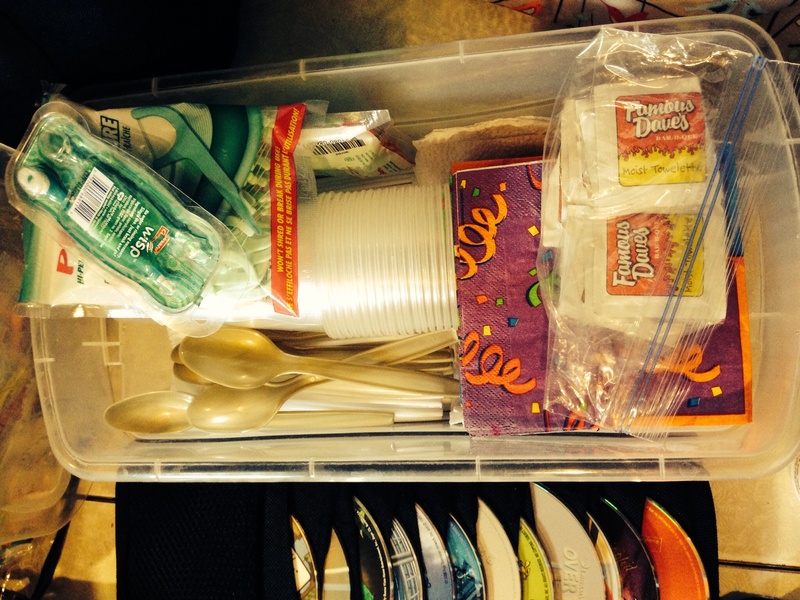 The shower caddy… Such a great idea! Totally going to try this with our guys. Great tips- especially the “go with the flow” we always say that we want our kids to enjoy it too! Great tips! I remember googling that too….but now we regularly have 24 hour travel days, so even flying for a few hours feels like a piece of cake 🙂 I’ll write some tips for looooong flights later….this summer we have a 13 hour flight, with two additional shorter flights!